Nicaragua’s 63-year-old President Daniel Ortega is one of the most important and popular historical figures in his country, second only to legendary revolutionary Augusto César Sandino, with good chances of becoming #1. Born in 1945 Ortega has lead the Sandinista National Liberation Front for decades now, with both his role in the movement and the latter’s success overshadowing that of Sandino. Augusto César Sandino’s rebellion of 1927-1933 against the U.S. occupation didn’t in fact lead to a revolutionary success. 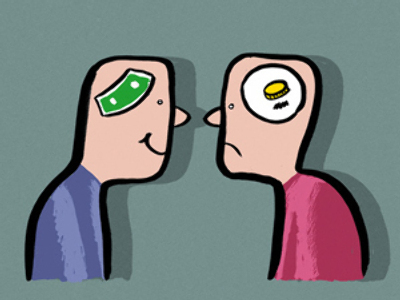 It was the economic crisis known as the Great Depression that eventually drove U.S. forces from the country. But even without an active U.S. military support Sandino’s forces weren’t able to overcome the weak Juan Sacasa’s regime, eventually agreeing to surrender in exchange for amnesty only to be ambushed and executed shortly. A second attempt named in Sandino’s honour – Sandinista National Liberation Front – was more successive. Much like most of the business wars portrayed in the Latin American soap operas, the political struggle in Nicaragua is a family/clan activity. By 1936 the pro-U.S. Sacasa’s regime was succeeded by even more pro-U.S. Somoza family rule. Somozas controlled the National Guard since 1933 – key armed force in the country, which helped them to eventually seize the presidency. Even the dramatic assassination of Anastasio Somoza García by a young Marxist during a party didn’t undermine the Somoza’s reign, which was to last till 1979. Decades of Nicaragua’s U.S.-industry’s-backyard existence – when U.S.-owned Long Leaf Pine Company directly paid the Somoza family millions in exchange for illegal benefits, such as not having to re-forest clear cut areas, or when the U.S.-pumped the country up with pesticides banned in the U.S. – made most of the prominent Nicaraguan families a socialist opposition. Among these were the Chamorro family that once controlled Nicaragua in 1920s as well as the middle-class Ortegas. Both Daniel Ortega’s father and mother were actively opposing the Somoza regime, while his mother was even imprisoned by Somoza's National Guard for being in possession of ‘love letters’ which were alleged to be coded political missives. Daniel Ortega’s first arrest for political activities happened when he was fifteen, even before he managed to attend the Managua University and join the outlawed Sandinista National Liberation Front. He returned to jail in 1967 for attempted bank robbery: to gain money for political activities, he took a machine gun and went in a Bank of America branch. During his years in prison he wrote poetry (his most famous poem is titled ‘I Never Saw Managua When Miniskirts Were in Fashion') and through it met Rosario Murillo, his future wife. It is said that Murillo is a distantly related to Sandino, but it was hardly the only reason, why she and Ortega got close and married in 1978, as they have been together ever since and have seven children. In 1974 was released in exchange for Sandinista hostages and sent to Cuba. It took Ortega four years to move to neigbouring Costa-Rica. Meanwhile the earthquake of 1972 that claimed more then 10,000 lives helped Nicaraguan opposition to gain momentum. With Cuban and Soviet backing Sandinistas – including two Ortega's brothers – started to plan decisive military action. Gathering in the neigbouring Honduras and Costa-Rica Sandinistas entered Nicaragua on May 19, 1979 and marched for the city of Leon, which triggered countrywide civil uprisings. When Leon was taken in July the Somoza regime was doomed. After U.S. refused further military assistance Somoza left the country, leaving his army to disperse on its own, without major bloodshed in capital Managua. Ortega became a member of the ruling Junta of National Reconstruction, de facto heading it. He called elections in 1984 and was predictably elected president, serving from 1985 to 1990. This predictability was, however, of a different sort than one gets, for instance, following the various flower events in Georgia. So there’s no wonder that in such a democratic environment Ortega to his surprise lost the 1990 presidential election Violeta Chamorro. 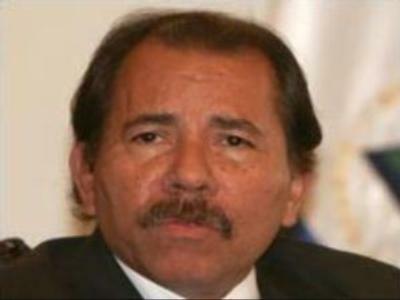 Ortega continued his political work in opposition. After two unsuccessful runs for presidency in 1996 and 2001, he moved towards more moderate policies. He gradually reduced much of his former Marxist rhetoric in favor of an agenda of more moderate democratic socialism. Another major move was his embracing God. In 2005 he even remarried his wife Rosario to have the marriage recognized by the Roman Catholic Church. 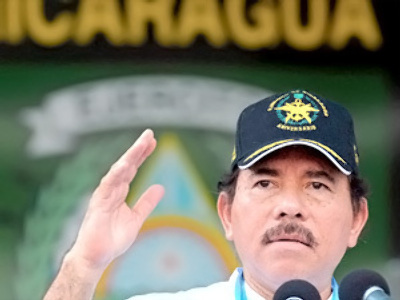 After orchestrating ‘El Pacto’ the alliance of Sandinistas and Constitutional Liberal Party, Ortega was able to win the 2006 election and once again become the President of Nicaragua. 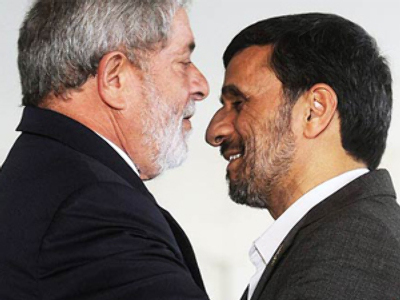 The first to congratulate Ortega were then-president of Cuba Fidel Castro, the President of Venezuela Hugo Chávez, whose Bolivarian Alternative for the Americas he joined in early 2007 not long after hosting a meeting with Iranian President Mahmoud Ahmadinejad. On September 2, 2008 Ortega announced the recognition of South Ossetia and Abkhazia and full support of the Russian government's position. This was met a harsh reaction in Georgia. On December 18, 2008 Ortega arrived in Moscow to discuss mutual trade, energy, space and agriculture.